Sprint LG G3 users are now able to enjoy new features on their devices thanks to the new Android update 4.4.2 which introduces an International Calling over Wi-Fi feature, available among Sprint users. The LG G3 update 4.4.2 (labeled ZV6) was announced by the carrier on December 1st and will go live in the course of this week. The new firmware should be available to all Sprint users by December 11th. On top of the International Calling over Wi-Fi feature, the 4.4.2 update also includes a series of enhancements and fixes, such as Google Security Patches, Qualcomm Security Patch, improved unlock algorithm when the phone resides in the user’s pocket, and optimizations for the LG Home, compass application and auxiliary cable recognition. We got word over a week ago that the LG G3 will not receive an Android 4.4.4 KitKat update and will instead commit to the latest Android 5.0 Lollipop before the end of this year. With the new ZV6 update already in place, I don’t know if this is the case anymore. 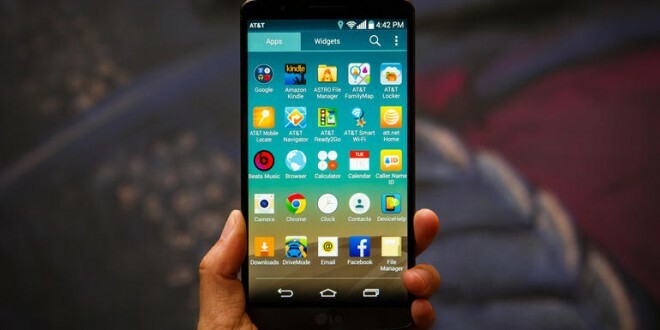 The most plausible scenario is that we will be seeing a Lollipop 5.0 OTA update for the LG G3 early next year. However, some LG G3 owners who are eager to test the latest Android OS will be able to do so, as an unofficial build is now available for the D855 variants of the smartphone. Turning over to the LG G3 ZV6 update, many users have reported several performance improvements upon installing it. Also, some display properties seem to have been altered. The 4.4.2 firmware will require around 300MB of storage space and it is advisable to download it via a stable Wi-Fi network to avoid compromising any data. If the 4.4.2 update has not yet made an appearance on your LG G3, you can perform a manual check to see if it is available by heading to Settings > System updates > Update LG software > Check now. In case nothing shows up, have a little bit more patience because it should arrive soon.